You were born in it; raised in it; taught in it; some get married in it; have children in it; shop in it; work in it; and will, one day, eventually die in it. Every moment of our lives involves Architecture. Yet, like asking a fish what he thinks of the water, it often passes us by; like the air we breathe, unnoticed, unthought — just there. “What the hell is water?” replies the fish. Architecture matters. So, in this piece I want to talk about something that happened in Northern Irish architecture last week. The Royal Institute of British Architects announced its national award winners. 49 of, what the judging panel, sees as the best buildings of the year. The winners are selected form the different regions of the UK. 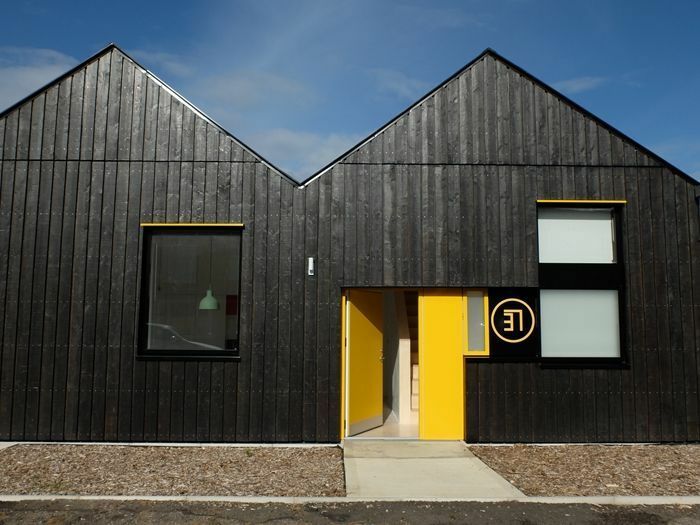 In Northern Ireland 21 schemes made the Royal Society of Ulster Architects (RSUA) awards shortlist. From this shortlist 12 winning projects became eligible for a national award. None were selected. Having had the pleasure of visiting and writing about a number of the shortlisted projects I can understand McCoy’s frustration. There were many worthy projects on the list — some better than others. Were they genuinely in with a chance of winning at a national level? I haven’t visited any of the winning buildings so I can’t say, but looking at the winners it’s clear, that with some of the ‘big’ names in architecture on the list, the competition was very tough and meaning no disrespect to many of the great buildings on the NI regional shortlist my expectations were set accordingly. As one editor of a national architectural publication told me, “the buildings simply aren’t innovative enough.” Make of that what you will but after all, it’s a competition and as frustrating as it can be knowing that most of the winners are London buildings, the awards were decided irrespective of location. Do awards matter? Probably less than we think. While they often provide welcome publicity for an architects practice and recognition of the hard work that goes in to producing a building, I contend that we should turn our energy to a more important question: How do we nurture and encourage the rising tide of architectural talent that we have in NI? Do awards matter? Probably a little bit yes. But, and I mean this with great respect for the profession, we must not let insecurity breed. For all of NI’s problems and issues, we are much more than the strange, conservative, religious, twenty-years-behind, outpost of a slowly fragmenting once-Great Britain that nobody on the so-called ‘mainland’ cares, or knows anything about. Insecurity will distract from what really matters. As I wrote in this piece for the RIBA Journal over the past number of years the tide of talent in the profession has been rising. Something similar happened during the recession in the south of Ireland. As the recession hit hard, one-third of architectural firms laid off between 61 per cent and 100 per cent of their staff. By 2014 the market for architects had dropped a staggering 77 per cent, and the number of practices had fallen from 1,027 in 2012 to 752. But out of this difficult time came a number of outstanding practices that I had the pleasure of writing about here for the Irish Times. I spent the day with these practices in Dublin and was struck by one thing — the healthy level of critical discourse that these young architects had fostered. There was something about the way they talked about architecture and each others work that stood out. I think that this is something we need to develop in NI. From what I have observed we simply don’t talk about architecture enough — together. How we do this is a conversation worth having and one that I do not have space for here.